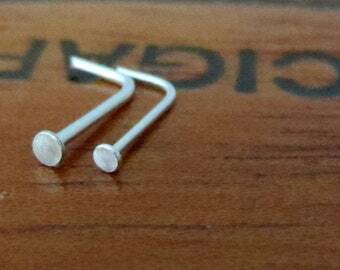 Tiny Niobium Stud Earrings, Perfect for Super Sensitive Ears, Nickel Free Studs for Earlobes or Cartilage - Made in USA, Choose Your Color! 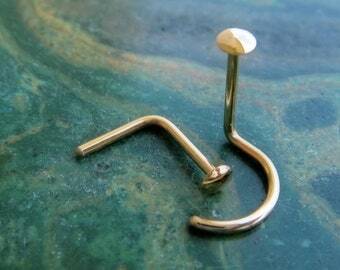 Announcement Sweet Lobes specializes in nose rings, earrings, and cartilage piercing jewelry. 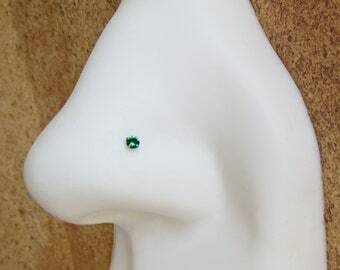 You'll find tiny nose studs, nose hoop rings, cartilage earrings, body jewelry, belly button rings, tiny stud earrings, and other precious metal jewelry made in the warm heart of Texas. I am thankful every single day for my little shop. And I'm thankful for you. Know that when you shop at Sweet Lobes, you are supporting a small, independent artist and jewelry made in the USA from the finest quality precious and semi-precious USA metals. 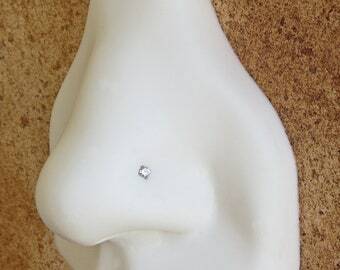 Sweet Lobes specializes in nose rings, earrings, and cartilage piercing jewelry. 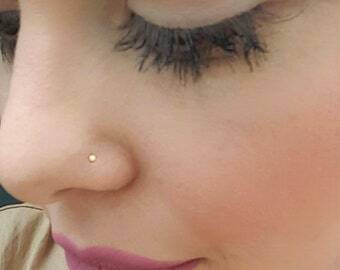 You'll find tiny nose studs, nose hoop rings, cartilage earrings, body jewelry, belly button rings, tiny stud earrings, and other precious metal jewelry made in the warm heart of Texas. 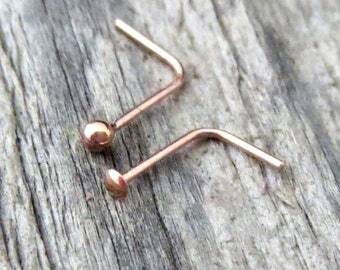 Titanium Endless Hoop, Skinny 26, 24, 22, or 20 Gauge Nose Ring, Helix, Earring, Cartilage, Lip, Tragus, Etc - Great Earrings for Men Too! A little piece of my "organized chaos" in the studio. My happy place. I love pics of y'all modeling your Sweet Lobes jewelry! Actually, my sisters and I called her "Mommy." She was the first person I ever knew with multiple piercings back in the 70s...ahead of her time, that girl. She pierced my ears herself when I was just two years old. 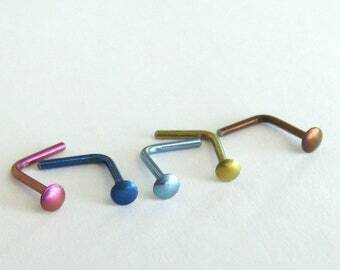 I've been a jewelry girl with multiple piercings (currently 6 ear, 1 nose) virtually all of my life. Everything at Sweet Lobes is done by me personally every step of the way (I'm the chief cook and bottle washer, as Mommy would say). Every detail is important to me. I thank God every day for my little jewelry business. He blessed me with the gifts to build and grow this shop, so that I may be a blessing to someone else along the road. Know that you are my #1 priority and the reason Sweet Lobes exists. That's not just lip service. As my sister and I say at the end of every phone conversation...that's just what. RETURNS: Sweet Lobes accepts returns on non-pierced items only. 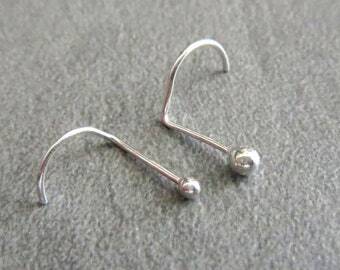 Pierced items (nose, ear, body jewelry) cannot be returned or exchanged. 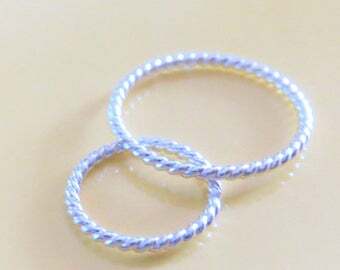 This is a matter of integrity as a business owner to protect my customers and is a common practice in the body jewelry industry to ensure the health, safety, and peace of mind of all customers. Please read the entire description carefully before making your purchase, as buying pierced jewelry online can be tricky at first. I'm happy to answer any and all questions to ensure your experience is perfect! 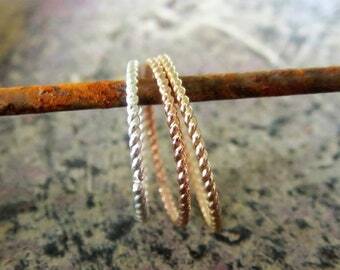 Note: ALL metals can tarnish. Tarnish is not a manufacturing defect. It is the result of environmental factors including climate, your body chemistry, sweat, chemicals, not being cleaned, etc. Your payment information is secure. Checkout is automated, and Sweet Lobes never receives or has access to your credit card information. All packages are shipped via the US postal service. Your item(s) will leave my smoke-free studio in excellent condition and carefully packaged. If a package is returned to me by the USPS as the result of an "undeliverable" or incorrect address provided by buyer, I am happy to reship to the corrected address, though reshipping charges will be at buyer's expense. Please allow up to 6 weeks for your item to arrive from the U.S. International buyers are responsible for and assume all duties, customs, and taxes required to receive goods. These fees are NOT included in the shipping cost paid to Sweet Lobes at the time of your purchase. Sweet Lobes is not responsible for delivery delays due to customs. If your package is returned to me because you refused or failed to pick it up due to customs fees, I will refund the original amount you paid for the item minus a 20% restocking/handling fee once I receive the package back in the mail. Shipping charges will not be refunded. Sweet Lobes is not responsible for allergic reactions or sensitivities that you currently have or develop in the future to the jewelry you purchase from Sweet Lobes (i.e. nickel, copper, etc...). 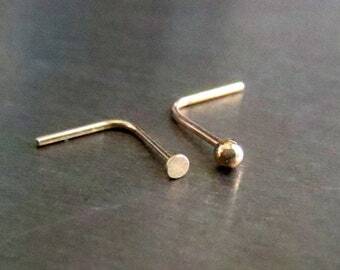 Since every person is different, it is your (buyer's) personal responsibility to know what metals are suitable for your piercings. All items are guaranteed to be brand new (NEVER resold or previously inserted or worn). ©2018 Sweet Lobes. All rights reserved. All content and photos in this shop are the property of and copyrighted by Sweet Lobes and may not be copied, altered, or otherwise used in any form without written permission from Sweet Lobes. Service providers - I engage certain trusted third parties to perform functions and provide services to my shop, such as delivery companies. I will share your personal information with these third parties, but only to the extent necessary to perform these services. 1. Always remove the cotton padding from any gift box before using it for jewelry storage, as it can cause even fine jewelry to oxidize/tarnish over time. 2. Ensure your jewelry is clean and dry before storing. 3. Protect your clean jewelry from chemicals and oxidation by storing it inside a plastic baggie when not in use. 4. Do not store or lay your jewelry in the bathroom for extended periods, as moisture, humidity, and chemicals can tarnish or corrode any metal. 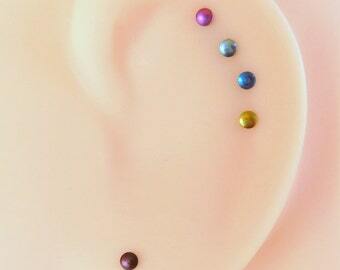 Sweet Lobes accepts returns on non-pierced items only. 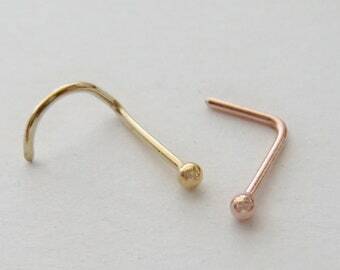 Pierced items (nose, ear, body jewelry) cannot be returned or exchanged. This is a matter of integrity as a business owner to protect my customers and is a common practice in the body jewelry industry for your health, safety, and peace of mind. 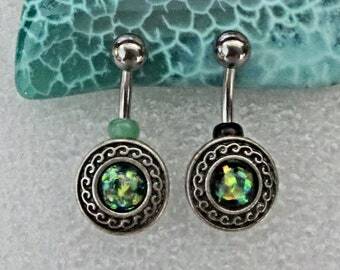 Personally, I do not purchase pierced items from retailers who do accept returns, as I don't want to risk receiving an item that was someone else's returned item. Every item from Sweet Lobes is guaranteed to be brand new, never worn or previously inserted. 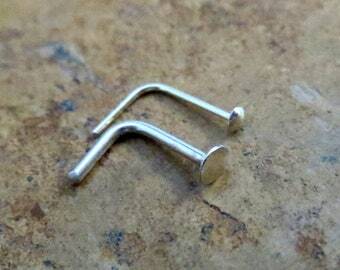 Please read the item description carefully before purchasing, as buying pierced jewelry online can be tricky. I'm happy to answer all questions to ensure your experience is perfect! How Can I Sign Up For Sweet Lobes' Newsletter?